August | ADULT CATECHESIS & CHRISTIAN RELIGIOUS LITERACY IN THE ROMAN CATHOLIC TRADITION: hosting ONLY True Christians!! !, or "How to think Catholic!!" –Rev Dwight Longenecker, Fr. Dwight Longenecker is an American who has spent most of his life living and working in England. Fr Longenecker was brought up in an Evangelical Protestant home in Pennsylvania. After graduating from the Fundamentalist Protestant Bob Jones University with a degree in Speech and English, he went to study theology at Oxford University. He was eventually ordained as an Anglican priest and served as a curate, a school chaplain in Cambridge and a country parson on the Isle of Wight. Realizing that he and the Anglican Church were on divergent paths, in 1995 Fr. 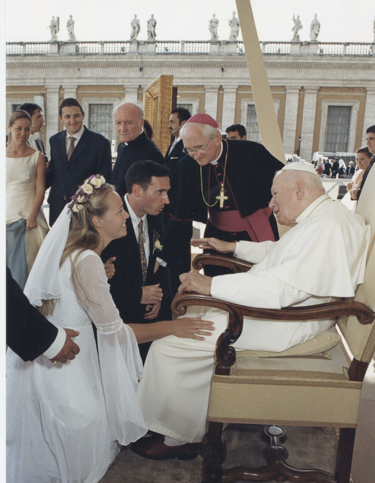 Dwight and his family were received into the Catholic Church. In December 2006 he was ordained as a Catholic priest under the special pastoral provision for married former Anglican clergy. He now serves as parish priest of Our Lady of the Rosary parish in Greenville, SC. “A heresy is never totally wrong. Its just that it is never totally right. A heresy is a half truth or a truth twisted. The reason a heresy is attractive is that it always seems to make perfect sense. A heresy is a religious truth you would make up if you were making up a religion. However, Catholic truth is stranger and subtler than that, and it takes sound teaching to expose and battle the heresy. Heresies are persistent because they are attractive, and they are persistent because they usually console the heretic in some way. In other words, it is easier to believe the heresy than the fullness of the Catholic truth. The fullness of the Catholic truth is either difficult to believe or difficult to obey or both. The heresy always offers an easy way out–either an easier way of believing or an easier way of behaving. 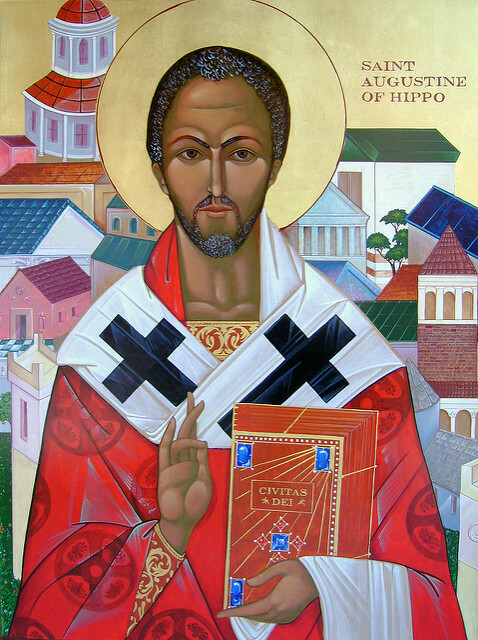 The first heresy Augustine battled was Donatism. The Donatists were a schism in the North African Church that were sort of like Puritanical Protestant or Jansenists. They thought the church should be pure, and should be a church of saints, not sinners. 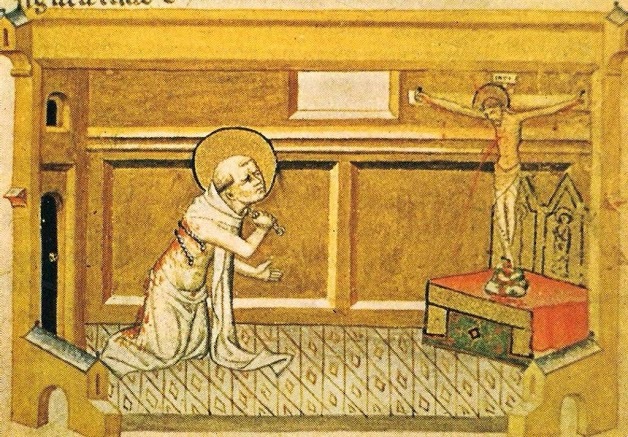 They were unwilling to accept back those Christians who, out of weakness, compromised their faith during the persecutions and they insisted that for sacraments to be valid the priest had to be faultless. While this sort of rigorism is understandable, it doesn’t take much to see where it leads. It leads to unbearable self righteousness. “We few, we holy few. We are the remnant, the true church, the only real Christians…” Nonsense. If you think the core error of Donatism does not exist today, look a little harder. Although the name “Donatism” is now a footnote of church history there are plenty of rigorist schisms and sects and plenty of the attitude within individuals and groups in many different churches. The fact is, most heresies, while seeming attractive, can be countered very easily with a passage from the gospel. Donatists should read the parable of the wheat and tares. The sinners and the saints grow together and God will sort it out. 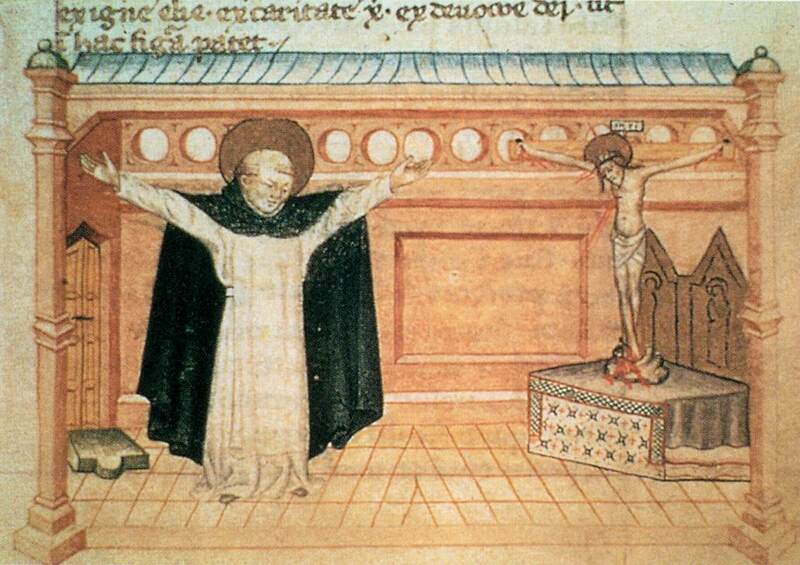 The second heresy Augustine battled was Manicheanism. This false religion was started by a Persian prophet named Mani (274 AD). He blended elements of occult Judaism, Zoroastrianism and Christianity and came up with a complicated New Age kind of religion. His core heresy was dualism. He taught that the physical world was evil and the spiritual world was good. Manicheanism had a huge influence in the 3-4 centuries. We can see it in the harsh asceticism of the early monks for example. Augustine’s teachings on the nature of evil countered this. He taught that the created world is good because God does not make evil. Instead evil is good twisted, distorted or destroyed. While Manicheanism is also a footnote in church history, the idea that the physical world is bad and the spiritual world is good continues today. 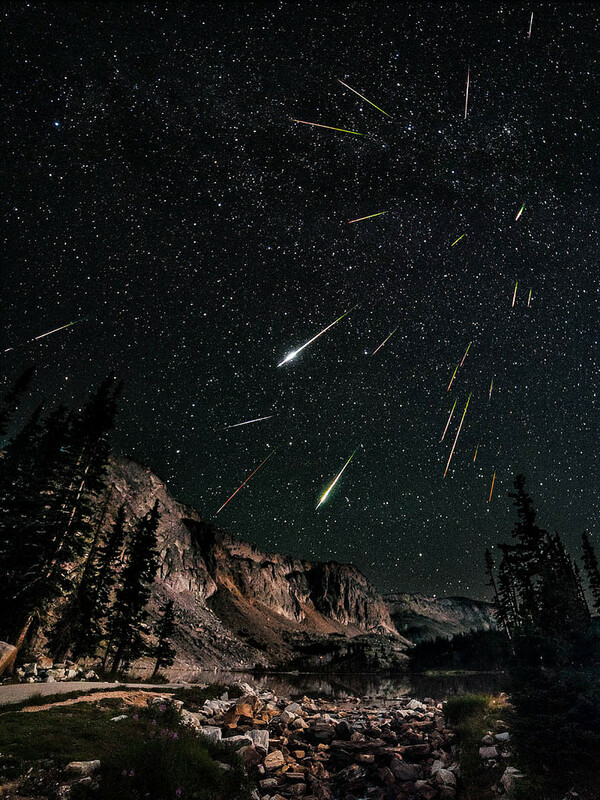 It is present in some New Age teachings and in Eastern religions and philosophies. It also lingers like an echo in elements of Christianity. It is tempting to look down on physical pleasures, and the right embrace of holy poverty can be twisted into a hatred or disgust or guilt about the goodness of the physical world. The third heresy is Pelagianism. This is named for the British monk Pelagius (d. 420) His teaching was probably misunderstood, but if so, the misunderstanding was that he taught that the human will was not so tainted by original sin that it lost its power to do good. In other words, you can do good without God’s help. This led to the conclusion that you can get into heaven through good works. 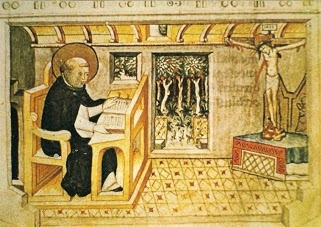 Augustine corrected this heresy with his teachings on grace. It is God’s grace, continually working in and through creation and in and through our own lives that empowers our faith, empowers our good works and empowers the supernatural transformation of our lives. 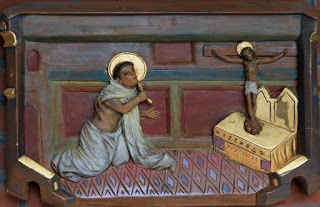 Aug 2 – St Peter Faber, SJ, Priest, Co-founder of the Society of Jesus, patron saint of business? 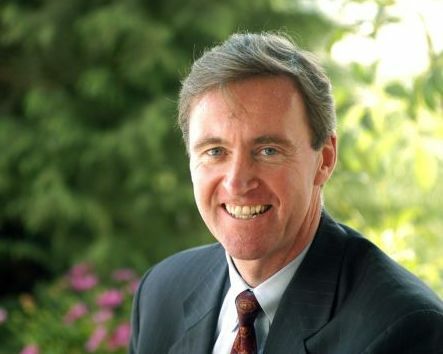 “I want to propose a new patron saint for business people: Peter Faber. On Dec. 17, 2014, Pope Francis signed the bull of canonization recognizing Faber as a saint, and the relatively low-key elevation — no ornate Mass in St. Peter’s Square for poor Faber — is in keeping with his relative obscurity in the Jesuit pantheon. Faber was among the handful who co-founded the Jesuit order in the mid-1500s, but he never quite attained the renown of St. Ignatius of Loyola and St. Francis Xavier. No Jesuit church is complete without some triumphalistic mural or statuary of Loyola or Xavier. But Faber? 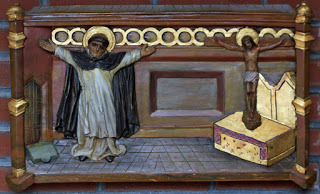 He is usually one of an indistinguishable line of black-robed Jesuit extras, looking plastically pious at stage left of the mural. His ministry was vital but not headline-grabbing. He was an extraordinarily capable spiritual director who reinvigorated clergy and bishops who had grown decadent, and patiently drew wavering Catholics back to the fold at a time when the Protestant Reformation was sweeping Europe. In an interview with La Civiltà Cattolica, Francis praised Faber’s style, his “dialogue with all … even with his opponents … his simple piety … his careful interior discernment … capable of being so gentle and loving.” Faber’s patient but ever-persistent outreach, his “frontier spirit” so to speak, embodies the culture change Francis is trying to engender in our church at large. But how does Faber become my patron saint of business? Faber’s vision of the positive role of business is remarkable. He wrote two centuries before Adam Smith lifted a pen, during an era when the Catholic church generally looked askance at business. Yet in a few short phrases, Faber crystallizes a profound and profoundly challenging philosophy of business. First, business, when done well, plays an unparalleled role in enabling individuals to support themselves and their families with dignity. Faber’s reaction upon seeing so many beggars? Not “We need a soup kitchen” but “We need businesses.” Of course, charity is also essential: Jesus told us we’re going to hell if we don’t clothe the naked and feed the hungry. But Faber also perceives the unique role of business in creating positive, systemic, long-term societal change. Second, Faber recognizes that great businesspeople have a “flair.” The imagination to identify unmet needs, the willingness to try something new and bear the risk of failure, the scrupulous attention to detailed execution, the ability to inspire team members, and a hundred other things all mark the flair of good business people. These are talents, gifts from God, and ought to be recognized as such. It is not a sin to succeed in business by employing these talents fully. But Faber implicitly challenges businesspeople that their talents are only being used well when they maintain a proper perspective on life. Business and money-making are not the highest ends: “If there were not such a harvest of souls to be reaped,” Faber writes. Our destiny lies beyond this world, and we’re here for purposes beyond what we can sell, trade, build, buy, flaunt or own during this short earthly sojourn. That includes, if we are businesspeople, remaining aware that our every business decision impacts, for better or ill, the lives of employees, customers, shareholders and communities. Faber’s vision of business is an ennobling, inspiring one. Entrepreneurs with a Faber-style flair for business don’t think only of “enhancing shareholder value” and making themselves hog-whimperingly rich; they hop out of bed each morning feeling blessed to help fellow citizens use their talents, support their families in a highly dignified way, and alleviate poverty in their communities. Francis’ apostolic exhortation, Evangelii Gaudium, also has plenty to say about the role of business, launching salvos, for example, at a business culture that sometimes turns money into a modern-day golden calf. Catholics and pundits more generally have rushed to react with predictable party-line tropes. Republican Catholics tsk-tsk that the pope really doesn’t understand how markets work; Democratic Catholics reduce the pope’s agenda to nothing more than an endorsement for more aggressively redistributionist tax policies. But a close read of his exhortation reveals challenges and affirmations for all Catholic parties and tribes in this debate. In fact, the pope, like Faber, is calling businesspeople and all of us to ponder our human vocation in much more fundamental ways. After all, that’s what great leaders do, whether popes or entrepreneurs with a flair for business. They try to inspire us to transcend our ideologies and differences and coalesce around a higher viewpoint. St. Peter Faber, who was born in 1506 in what is now France, shared lodgings with Ignatius and Francis Xavier at the College of St. Barbara at the University of Paris. 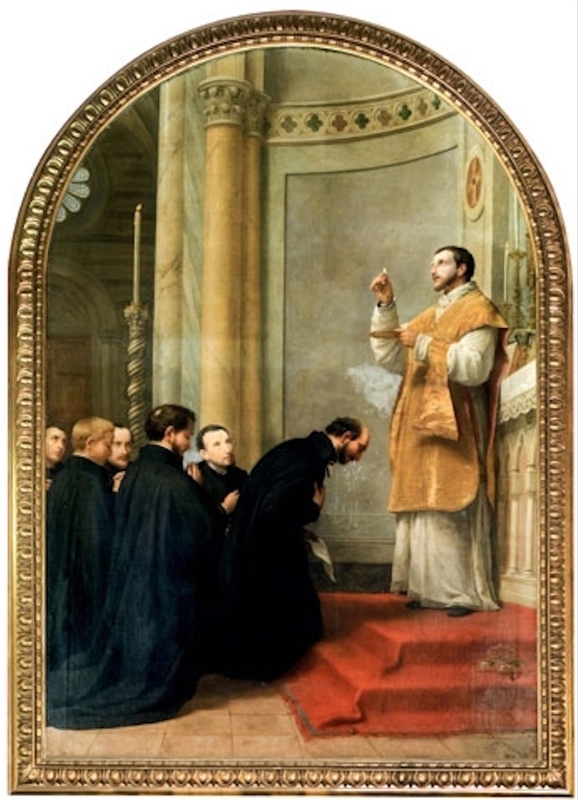 Faber was the first of the Jesuits to be ordained a priest and he celebrated the Mass in 1534 during which St. Ignatius and the others took their vows of poverty, chastity and obedience. Jesuit Fr. Antonio Spadaro, editor of La Civiltà Cattolica, who conducted the interview with Pope Francis published in Jesuit periodicals in September, asked Francis about his favorite Jesuits. “The perfection of all virtues and gifts of God is beatitude. In other words, the more perfect virtue and use of the gifts of God are, the more perfect is one’s happiness. And there is no greater happiness than to see God. That is why it is called the beatific vision and is the final grace that God gives those who are pure of heart: “Blessed are the pure of heart, for they shall see God” (Matt 5:8). 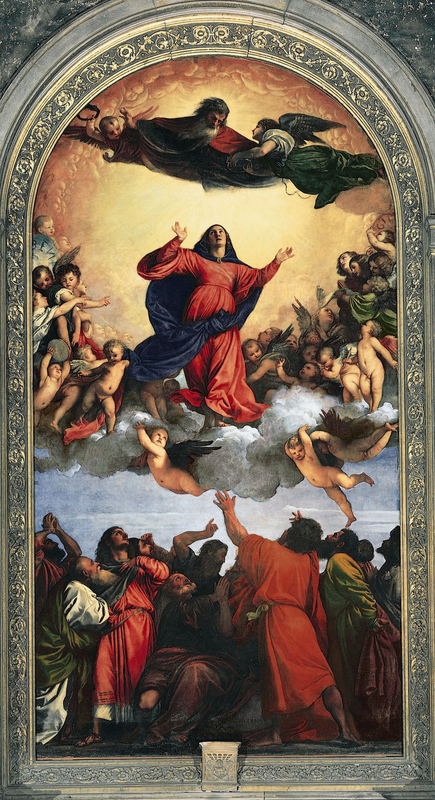 The Solemnity of the Assumption is both a declaration of victory and an invitation to hope! It is a declaration of victory because the Mother of Our Lord was the first to receive the full reward of the saints: salvation and the gift of her glorified body. What the souls of the just will receive at the final judgment, the Mother of the Savior has already received. Why? As Pope Pius XII pointed out in his Apostolic Constitution, Munificentissimus Deus, in which he proclaimed the dogma of the Assumption of Mary, Mary’s Assumption into heaven was the most fitting gift to Mary that corresponded to her unique privileges, most especially her Immaculate Conception by which Mary was created with the fullness of grace. Having never succumbed to temptation and sin, Mary lived what truly was a perfect life. For we have not a high priest who is unable to sympathize with our weaknesses, but one who in every respect has been tempted as we are, yet without sin. Since Mary is the perfect disciple of the Redeemer as much as she is His Immaculate Mother, we can say that Mary, as the Mother and model of the Church, “in every respect” was “tempted as we are, yet without sin.” Hence, she is no ethereal model. Mary, like her Divine Son, went to battle against the same temptations that every Christian born of her must engage. How did Mary triumph over these temptations? 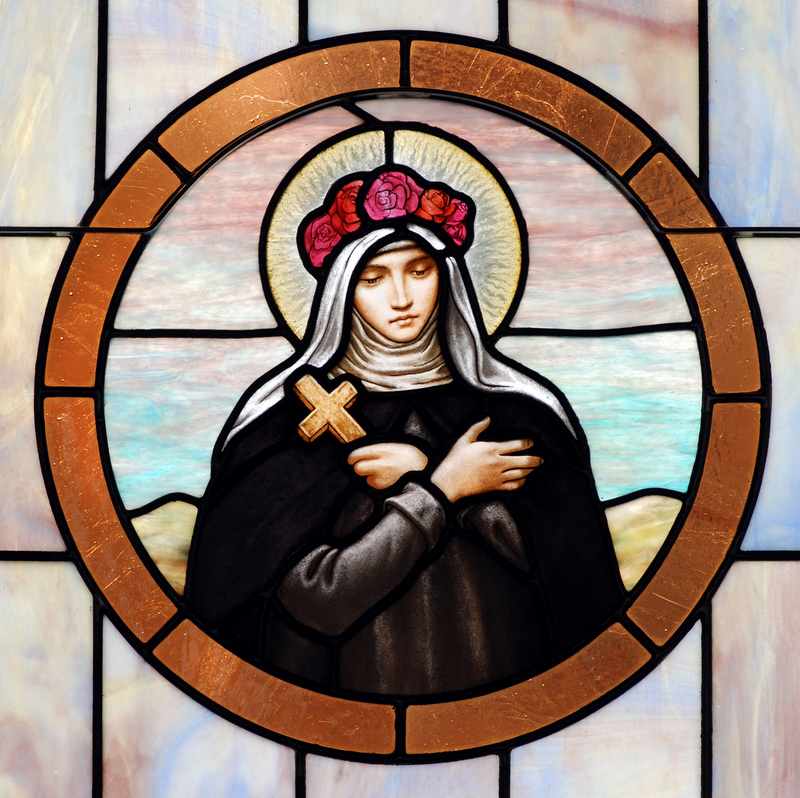 “Blessed are the pure of heart, for they shall see God.” The Church both in its teaching and through the lives of its saints, especially Our Blessed Mother, has affirmed that for one who sees the face of God, it is impossible to sin, for we behold our greatest Good. And while we cannot behold the face of God in the fullness of its glory, Jesus in this Beatitude tells us that we can begin to experience this beholding of God’s face even now through grace. And the specific way we do it is by having a pure heart. 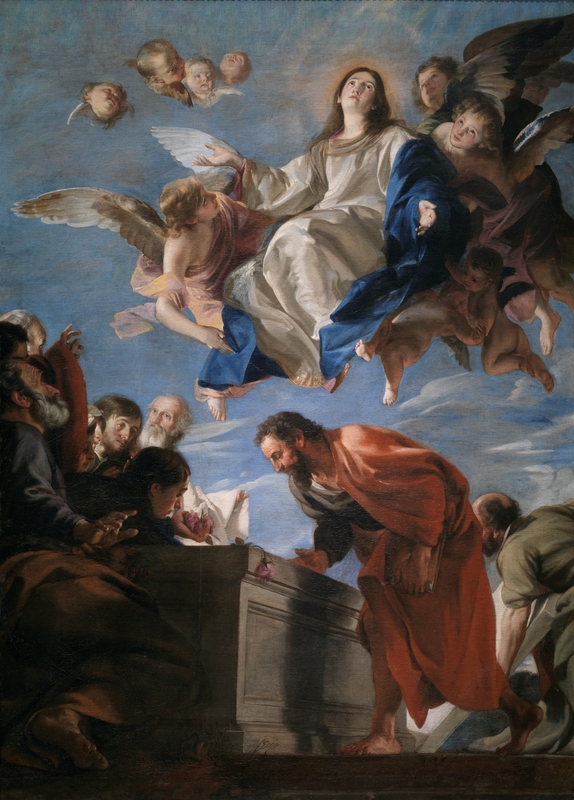 It is no wonder then that the Feast of the Assumption is tied directly to the Feast of the Immaculate Conception, the feast that celebrates Mary’s perfect purity: She is the Immaculate one – or as St. Maximiliam Kolbe called her, the Immaculata. The Feast of the Assumption celebrates, therefore, the great triumph of Mary over sin through her purity of heart! Victory is also ours and so is the glory that God wishes to give such souls who persevere in living a pure life. Hence, this Feast is an invitation to hope! It can be done by asking for and fostering the grace of purity in our hearts. Otherwise, Jesus would not have made this one of the Beatitudes, which represent the heart of the Good News. So, wherever we are in our walk with Christ, let us never forget that what will always keep us on the path to seeing the full glory of God, is purity of heart. And this is impossible without purity of the senses. To that end, let us guard what we allow into our souls by guarding our senses and seeing to it that, if we have fallen off the narrow path of purity, we run to the wellsprings of Divine Mercy that await us in the Sacrament of Confession. How much clearer can we see God after this incredibly awesome sacrament! How much it helps us with clarity in all aspects of our life! 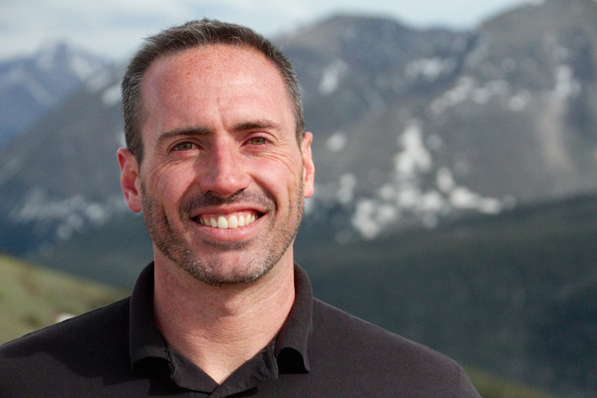 Dr. Peter Howard presently lives in Aspen, Colorado, with his wife, Chantal, and four children. Dr. Howard is a professor of Theology at the Avila Institute for Spiritual Formation. In 2015, Peter and his wife, Chantal, founded HeroicFamilies.com. 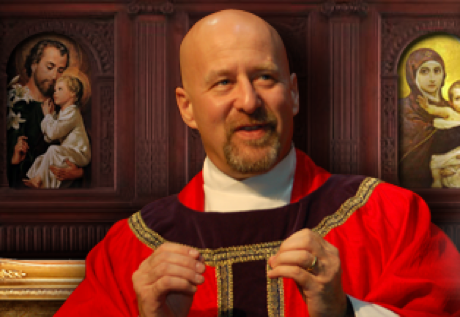 He is also a Catholic videographer (MEDIAtrix.tv), author and national Catholic speaker who has spoken at the 2012 Midwest Catholic Family Conference in Wichita, Kansas; the United States Air Force Academy; parish retreats and on Catholic radio programs. He also taught me my “Saints: from Anthony to Bernard of Clairvaux” class at the Avila Institute. 9. 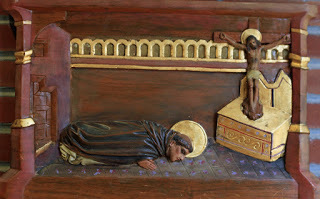 The frequent quest for solitude in which one resists fantasies and evil thoughts like flies and prepares for spiritual battle against diabolical malice by the sign of the Cross. Let us know the love of Christ which surpasses all understanding. “Our Lord and Saviour lifted up His voice and said with incomparable majesty: “Let all men know that grace comes after tribulation. Let them know that without the burden of afflictions it is impossible to reach the height of grace. Let them know that the gifts of grace increase as the struggles increase. Let men take care not to stray and be deceived. This is the only true stairway to paradise, and without the cross they can find no road to climb to heaven. The older brother Cain murders Abel; the younger brother Jacob tricks Esau out of his birthright; and Joseph is left for dead by his eleven brothers. But, on the other hand, brotherly love can overcome great adversity. Joseph forgives his brothers and saves their lives. Look, too, at the early disciples of Christ: the brothers Peter and Andrew, James and John (sons of Zebedee), among many others. For them, being brothers in Christ was more important than consanguinity; yet it is a beautiful thing when the two brotherhoods overlap. After all, the love between blood brothers or sisters should point to, and school us in, the more perfect love between brothers and sisters in Christ. So, as it is written (Heb 13:1), let brotherly love continue! 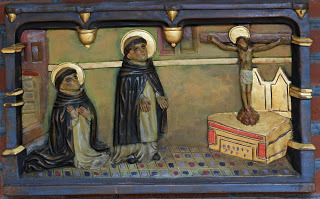 Both kinds of brotherly love are evident at the very beginning of the Dominican Order. 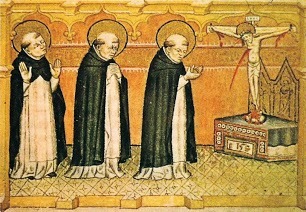 St Dominic was the youngest of three brothers. 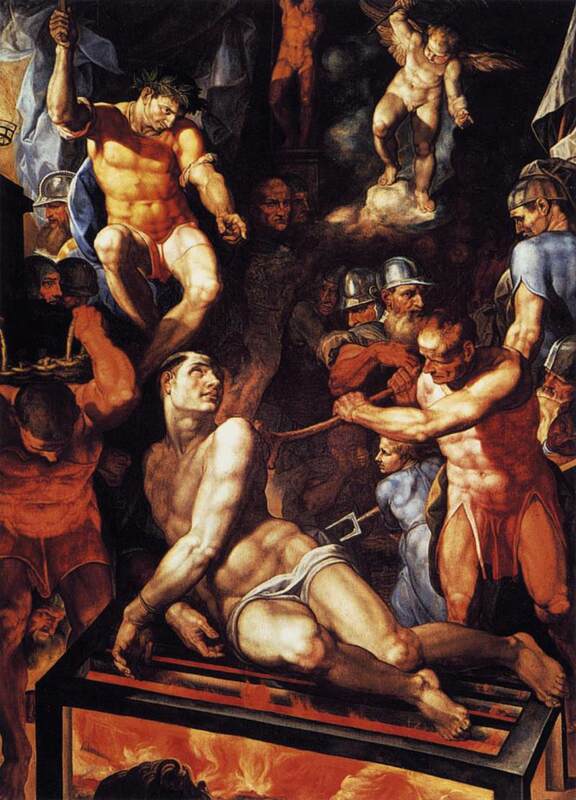 His eldest brother, Anthony (Antonio), was also a priest. But it is the middle brother, Manez (also spelt Manés, Mannes or Mames), who interests us here. 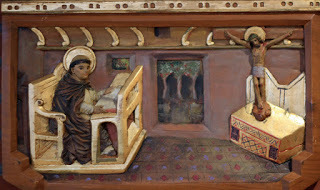 Manez was old enough to have begun his own training for the priesthood when Dominic was born; but later, he joined Dominic in his preaching mission to the Albigensians. 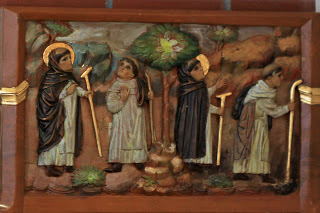 When the Order of Preachers was formally approved by the Pope, Manez was one of the first to receive the habit and make profession in the hands of Dominic, his younger brother. 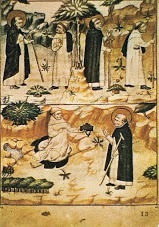 Manez proved immediately to be active and devoted Dominican friar. 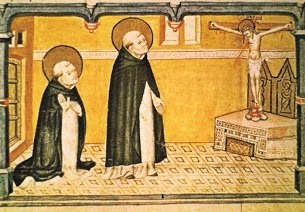 He was among those sent by Dominic to Paris in the early dispersal of the brethren in 1217; there Manez was one of the founders of the St Jacques community. In 1219, he was sent to Madrid to be chaplain to the first community of Dominican nuns in Spain. 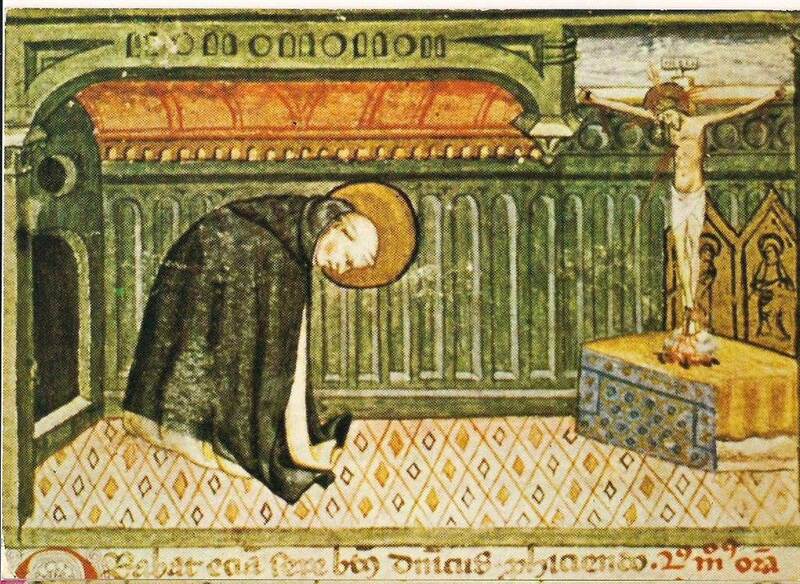 After many more years of service, he died in 1238 and was buried at the Cistercian monastery in Gumiel de Izán. We know very little else about the life of Manez. 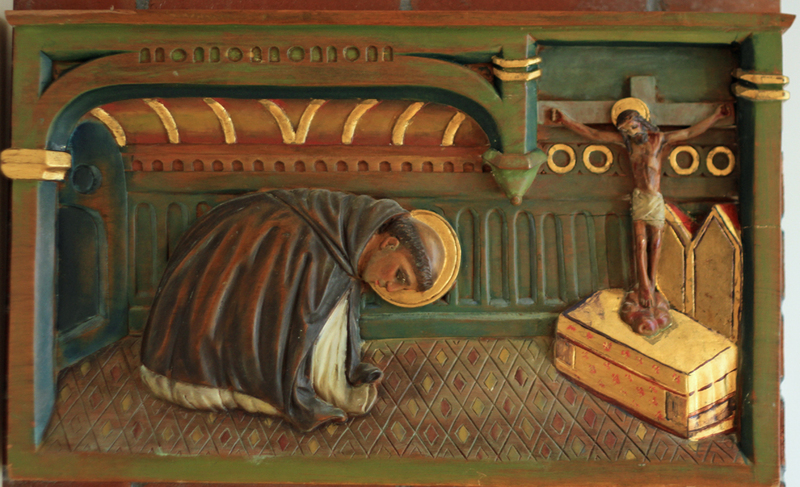 His contemporaries reported that he was a gentle and effective preacher, a prayerful and discreet friar. He was inclined towards the contemplative life, but did not hesitate to attend obediently to whatever task he was set. 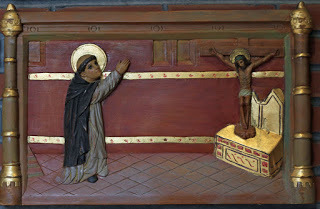 Friar Rodrigo de Cerrato called him a ‘gentle, humble, cheerful and kind and ardent preacher’. 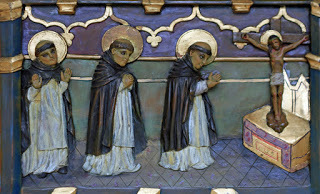 This hiddenness and humility of Manez marks him out as a true brother of Dominic. 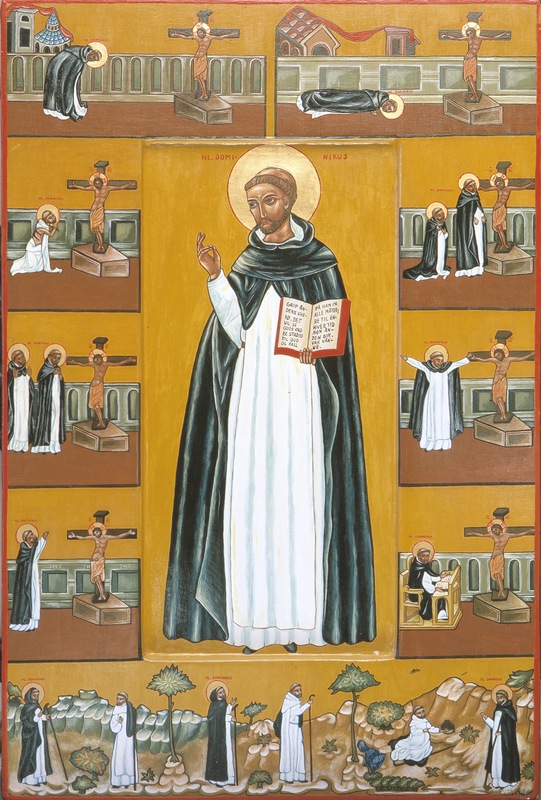 If the greatness of Dominic owes much to his humility, his giving way to the brethren and the Order’s mission above his own personal status, then Manez has perhaps an equal claim to greatness: he devotedly served God in the Order his younger brother founded, not seeking his own advantage or aggrandisement but simply the salvation of souls. 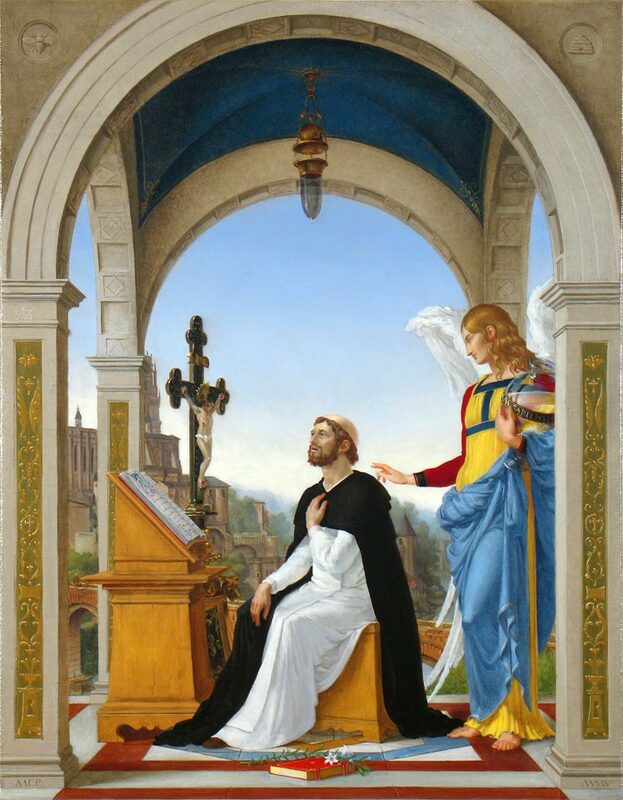 Blessed Mannes, an older brother of Saint Dominic, was born at Caleruega, Spain, about 1170. He was among his younger brother’s first followers and later assisted in establishing the priory of Saint-Jacques at Paris in 1217. 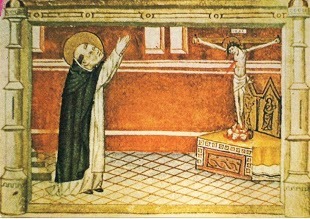 In 1219 he was entrusted with the care of the Dominican nuns at Madrid. 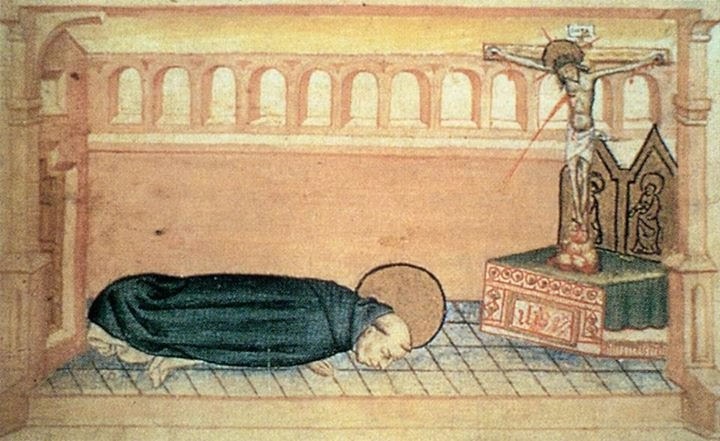 According to an early source he was “a contemplative and holy man, meek and humble, joyful and kind, and a zealous preacher.” He died at the Cistercian monastery of San Pedro at Garniel d’Izan near Caleruega about the year 1235. From a letter of our Holy Father Dominic to the nuns of Madrid. 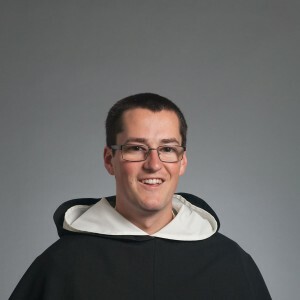 Brother Dominic, Master of the Preachers, to the dear prioress of Madrid and all the nuns in the community, greetings. May you progress every day! I am delighted at the fervor with which you follow your holy way of life, and thank God for it. God has indeed freed you from the squalor of this world. Fight the good fight, my daughters, against our ancient foe, fight him insistently with fasting, because no one will win the crown of victory without engaging in the contest in the proper way. Until now you had no place where you could practice your religious life, but now you can no longer offer that excuse. By the grace of God, you have buildings that are quite suitable enough for religious observance. From now on I want you to keep the silence in the prescribed places, namely, the refectory, the dormitory and the oratory, and to observe your Rule fully in everything else too. Let none of the sisters go outside the gate, and let nobody come in, except for the bishop or any other ecclesiastical superior, who comes to preach to you or to visitate. Be obedient to your prioress. Do not chatter with each other, or waste your time gossiping. Because we can offer you no help in temporal affairs, we do not want to burden you by allowing any of the brethren any authority to receive women or make them members of your community; only the prioress shall have such authority, on the advice of the community. 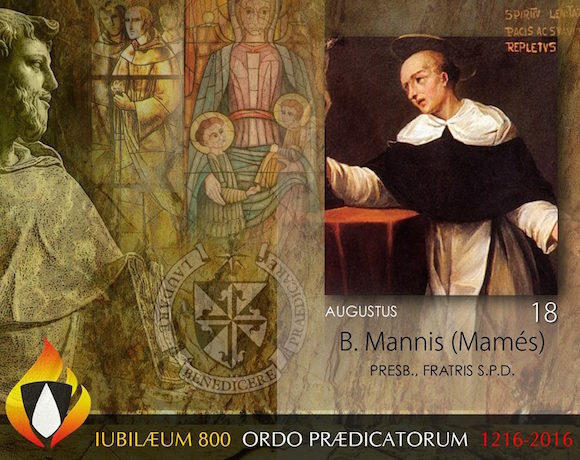 Furthermore, I instruct my dear brother Mannes, who has worked so hard to bring you to this holy state of life, to organize you and make whatever arrangements he considers useful, to enable you to conduct yourselves in the most religious and holy way. 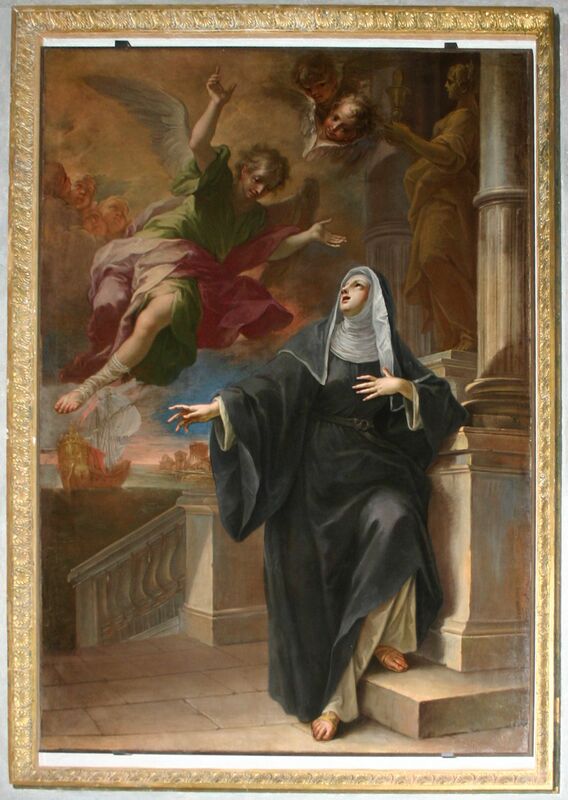 I also give him power to visitate you and correct you, and, if necessary, to remove the prioress from office, provided that a majority of the nuns agree. I also authorize him to grant you any dispensations he thinks appropriate.